When it comes to selling your home, you want to do everything as advantageously as possible. After all, for many people, their home is their biggest investment – and even if it’s not your largest, you’ve likely invested money and time into your home. In order to get the biggest return on your investment, you need to make sure you’ve got the basics covered. 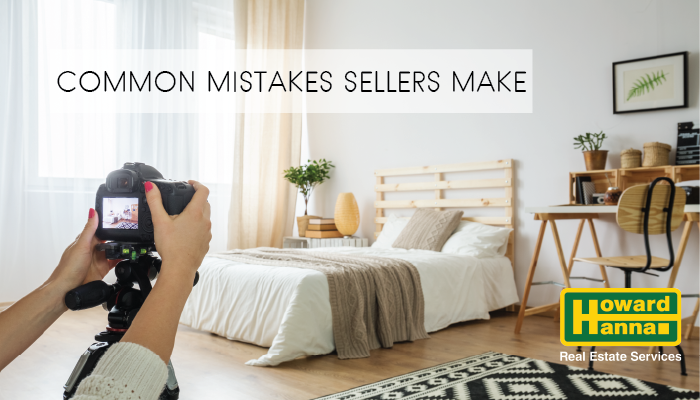 Before you sell, make sure you understand how to get your house ready to sell by avoiding these mistakes! Real estate agents are experts at what they do, and what they do best is sell homes! They have access to the latest and best information about what houses like yours are selling for in your neighborhood. They know the best marketing techniques for your home, and they help you showcase your home to as many serious buyers as possible. Plus, finding a real estate agent to sell your home is super-simple: You can find an agent here, and these are the interview questions you should be asking every real estate agent you talk to. A dripping faucet. A tiny handprint smudge on the wall. A spot on the carpet. $500 to replace the sink. $200 in paint and a weekend gone. $1,500 to replace the carpet. What might cost you an hour of elbow grease and a few dollars in touch-up paint or a new seat washer for your sink could cost you thousands of dollars if left unaddressed. Buyers are mentally tallying up all the work and expense the “little things” will cause, and are ready and willing to subtract it from their offer. Not only does it cost you actual value, it can also turn off buyers, who may think, “If the little things aren’t fixed, what about bigger things that I can’t see?” They may start to doubt the quality of the plumbing, HVAC, or other “invisible” home systems. Make sure you fix the little things before they cost you big money! Then, stage your home to highlight its beauty. Leaving your home too full of personal items can turn off potential home buyers, because they won’t be able to see how the home will suit their needs. Cleaning up and decluttering rooms crowded full of your personal items will leave the home feeling fresh and ready for buyers. Caring too much about your home can lead you to overvalue it, or to be disappointed when buyers don’t offer what you’re asking for. Take some time to talk with your real estate agent (you read Mistake #1 above, right?) about strategies for pricing that will get you the money you need, without overly involving your emotions. Here’s how to put yourself in the buyer’s shoes when selling your home. If you are looking to sell your home, look no further. Howard Hanna offers an extensive range of tools, programs and resources to help you kick-start the home selling process. We offer exclusive resources to help you sell your home faster, easier, and for more money. We’re the #1 privately owned broker in the United States, and for good reason. Get started and find a Howard Hanna agent to sell your home today.